In the 28 years between plans for Norway’s royal palace being formulated by King Carl Johan and its inauguration in 1849, financial crises gripped the royal residence on the Western side of Kristiania (Oslo) at Bellevue Hill. Oslo, Norway – View of the Slottet, the Royal Palace in Oslo in sunny daylight. And even after King Carl Johan died in 1844 and his son Oscar I and his wife Queen Josephine became the palace’s first residents, it was quickly apparent that the building’s 173 rooms fell short of requirements. The wings and the central colonnade, which were removed from the original design due to cost restraints, were reinstated and the steep roof was replaced by a more elegant flat roof. Inside the building, the different styles in evidence are explained by the 25 years it took to complete the original structure. The Banqueting Hall and the Family Dining Room offer up frescos inspired by Pompeii, while the Bird Room – one of the most famous in the palace – is an antechamber for those granted an audience with the King. The room gives the visitor the impression of being in an open garden pavilion. Through delicate pillars entwined with hops the viewer looks out on some of the most impressive Norwegian properties including Gaustatoppen and Vedalsfossen. The view is brought to life with a variety of Norwegian birds – 40 in total, made up of 14 different species and one which cannot be identified, all complemented by six butterflies. If you are kept waiting by the King you may also be able to pick out 4 hidden butterflies. 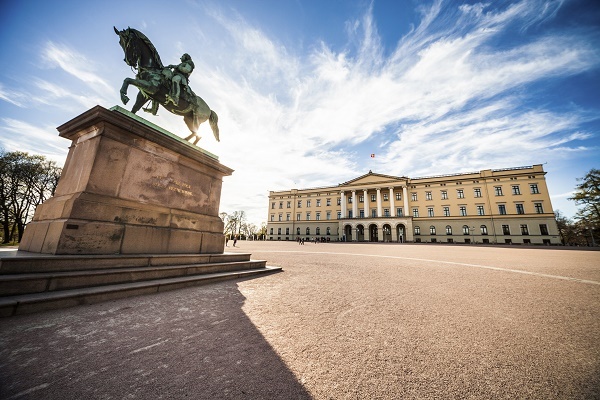 The palace is not just a home to King Harald V – who opened the building up to the public in 2002 – and the Norwegian Royal Family, the daily work of the monarchy is conducted inside its walls. The King presides over the Council of State, grants audiences, holds official dinners and when foreign Heads of State visit Oslo they will normally stay at the Palace. Every year since she came to the throne in 1952, Queen Elizabeth II has invited two heads of State to stay at either Buckingham Palace or Windsor Castle. London, Buckingham Palace viewed from the Spur Road. 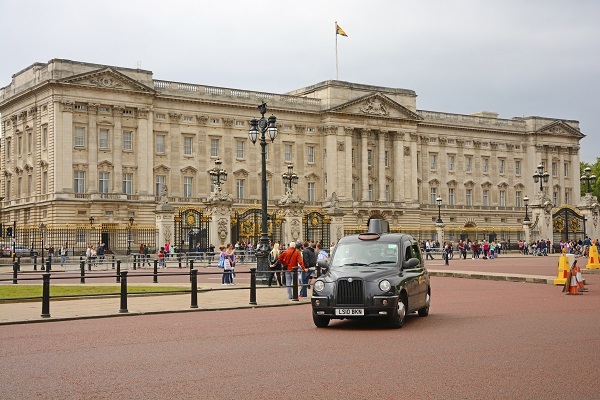 Buckingham Palace – which has attracted close to 500,000 visitors each year since it opened to the public in 1993 – has been the official London residence and administrative headquarters of the British monarch since 1837. But its history dates back to before 1761 – the year George III bought Buckingham House for his wife Queen Charlotte and it became known as the Queen’s House. It was George IV who decided to transform the house into a palace. In 1820, parliament agreed to a budget of £150,000 but by 1829 the cost had shot up to £500,000. 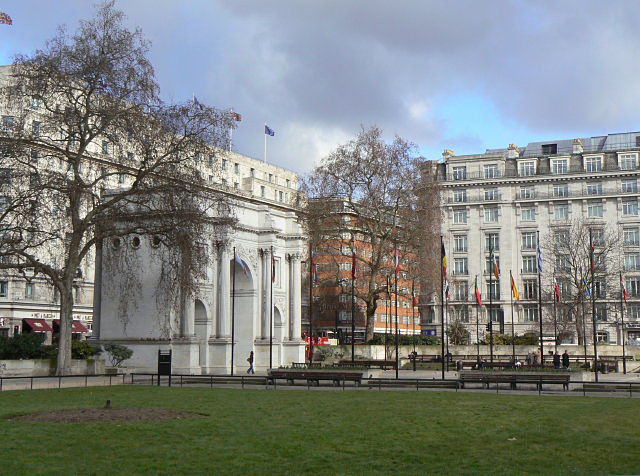 As part of the renovation – which included the building of 19 state rooms – the north and south wings of Buckingham House were demolished and rebuilt on a larger scale with a Marble Arch as the centrepiece of an enlarged courtyard. Queen Victoria was the first monarch to take up residence in July 1837. However, her marriage to Prince Albert in 1840 brought about a problem – an absence of any nurseries and too few bedrooms for visitors. The solution was to move Marble Arch, which commemorate British victories at the battles of Trafalgar and Waterloo, to its current home and build a fourth wing. The cost was covered by the sale of George IV’s Royal Pavilion at Brighton. If you are visiting London this summer, Buckingham Palace should be on your to-do list. It may lack a collection of birds (you have to drop by at the Tower of London to catch its ravens) but its balcony is a focal point for national celebration. The palace only opens to visitors between 23 July and 2 October, but exclusive views of it are on offer every day of the year from some of the most desirable homes in the capital. 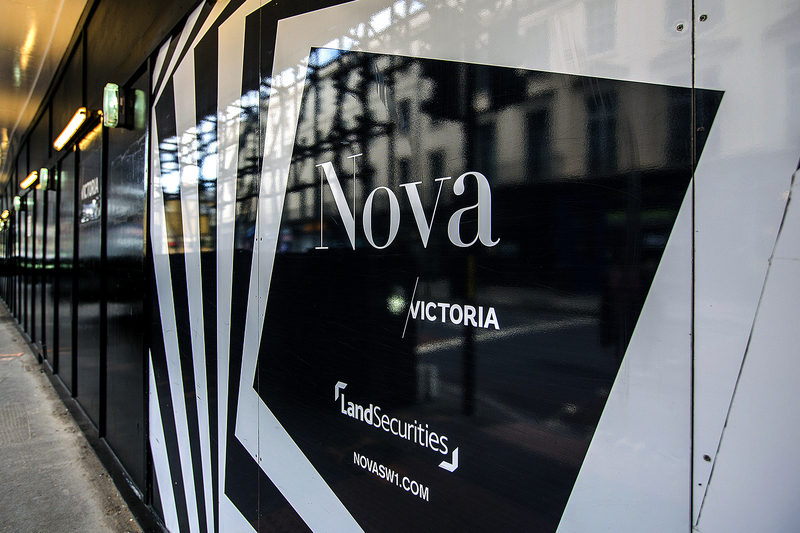 A selection of the 170 high spec apartments at Nova, for example, have balconies that overlook Buckingham Palace. For further information about owning or renting a home at the heart of the cultural renaissance of Victoria, please fill in the form on the right hand side.